You might recognise Tasia and Gracia Seger, the sisters behind Melbourne’s new Indonesian restaurant Makan, as the champions of the 2016 edition of My Kitchen Rules. And even though it’s been a while since their win, these sisters haven’t let victory soften them up—Makan means business. Delicious, delicious business. 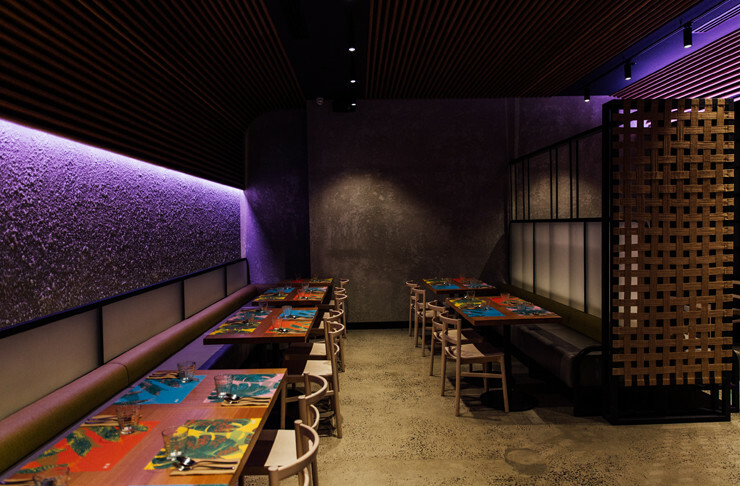 You can easily walk past Makan and miss it—it’s the only resident at the end of a quiet Collins St laneway. 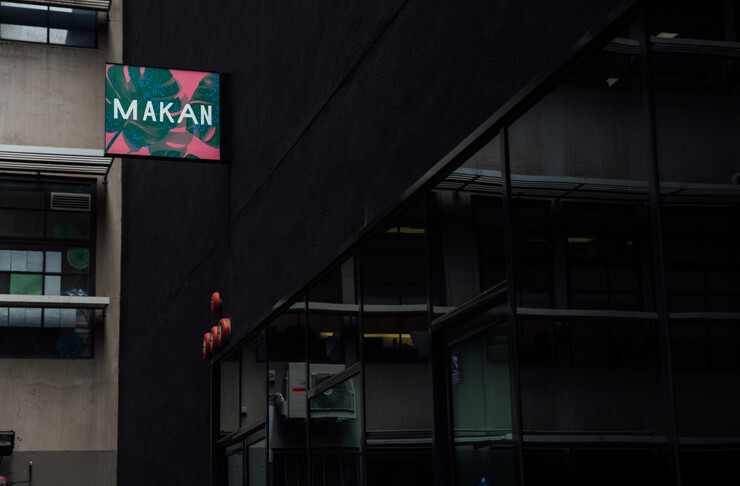 Makan also has a second entrance through 360 Collins, which means that anyone working in that area in the CBD has now a great Indonesian lunch spot right on their doorstep. 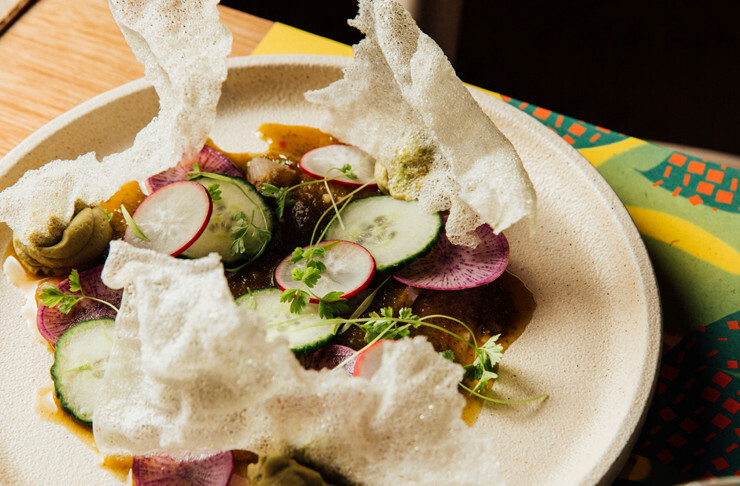 Because of its laneway location, Makan doesn’t get much natural light, which makes the venue a little moodier than your typical Indonesian restaurant. 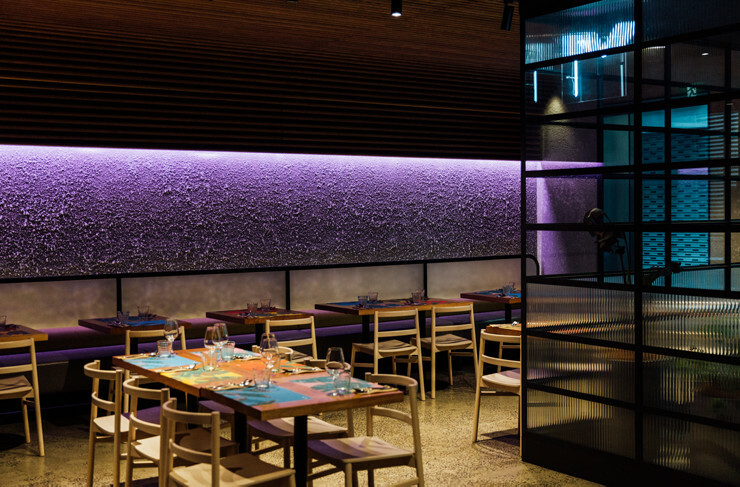 Concrete, glass, and neon make up the bulk of the Makan aesthetic; however, there’s plenty of colour from the whimsical placemats which double as menus. Once you sit down and soak in the ambience, you start to feel oddly giddy and comfortable—just with one glance at the menu, you can already sense you’re about to score some seriously flavourful eats. In true Indonesian fashion, the menu is made to be shared and mainly eaten with your hands, so don’t make the noobish mistake of asking the waiter for chopsticks. You’ll want to start with the white fish gohu with spicy coriander dressing, cucumber, avocado mousse, and delicate rice crackers. Light and with just the right amount of heat, this dish varies depending on the availability of the fish, which means that it’s always fresh as hell. 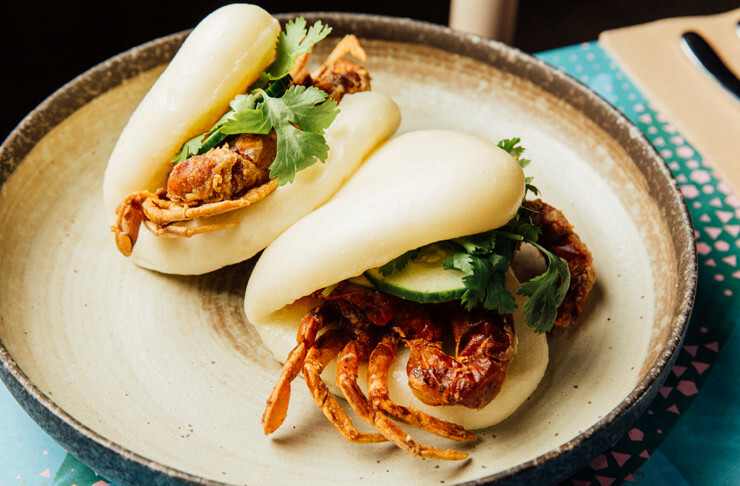 You can also opt for the chicken satay, which is served with a creamy peanut sauce, or the soft shell crab nestled between an incredibly soft homemade bao bun. There are also deliciously crispy, fried crepes stuffed with chicken filling or perfectly grilled corn on the cob. And those are just the freaking starters, so wait until you hear about the mains. There are stir frys and curries and large dishes, all of varying degrees of spiciness. The mie goreng has that satisfyingly salty bite to it, while the crispy duck and the BBQ sticky ribs will have you firmly questioning whether you could ever become vegetarian. 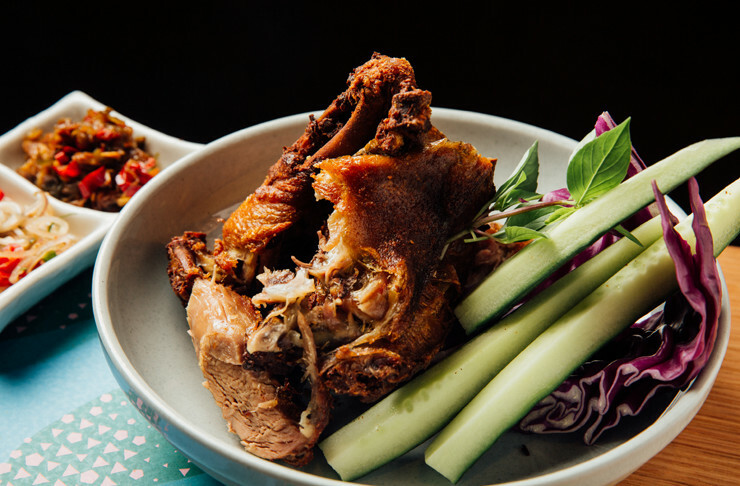 Speaking of vegetarians: there are plenty of meat-free options that’ll leave you just as full as if you had eaten an entire crispy duck. 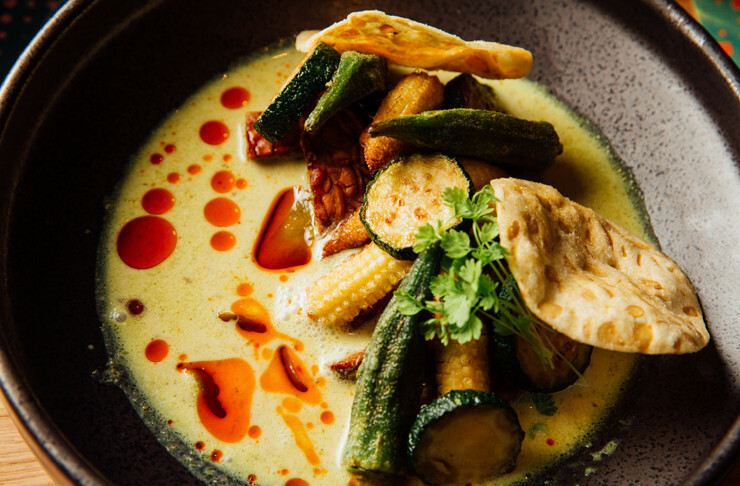 Between the creamy Opor tempeh coconut curry (served with okra and zucchini) and the spicy stir-fried tofu (served with mushrooms, green beans and green chilli sambal), the vegetarian options are perfectly balanced, so you won’t have the entire table asking where you get your protein. As for drinks, Makan operates just like every other restaurant, with plenty of wine, beer and cocktail options. 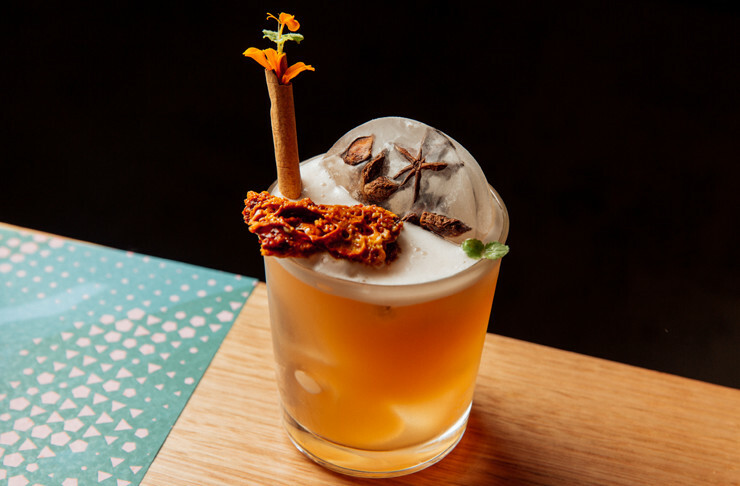 And if you’re looking to impress your fellow co-workers or dinner companions, the whiskey sour with star anise and honeycomb is a very aesthetic drink that goes down nicely with all that heat. In case you can’t decide between all the options, Makan also has a tasting menu available—at $55 per person, you’ll get a selection of the chef’s favourite dishes for the entire table, so you can spend more time eating and less time bickering over the menu. And if you’re still hungry after all that, there are plenty of dessert options that will fill that sugar-shaped hole in your heart. We’re talking Cendol pannacotta with jackfruit or black sticky rice with salted coconut cream, or even a banana brûlée with chocolate ice cream, cheddar crisp and condensed milk chantilly. Whatever you’re after, Makan makes a great lunch or dinner option. And the digs are nice enough that you can dress up or down, depending on what you feel like. Gotta love that flexibility.